As Theresa May prepares to deliver her first Tory conference speech as party leader and prime minister, the TUC has called on her to cooperate with unions on defending the rights of workers. 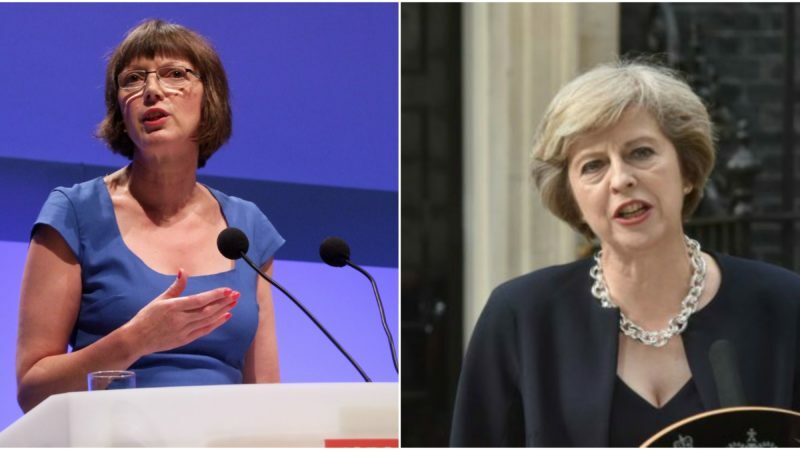 ‘On the steps of Downing Street, the new prime minister admitted that life is much harder for working people than many in Westminster realise,’ TUC general secretary Frances O’Grady said in her speech to Congress. ‘She promised us social justice. She vowed to govern for the many, not the privileged few. So my advice to the new prime minister is this: prove it’. O’Grady listed a range of trade union demands, particularly with regard to ensuring that working people would not pay the price of Brexit, and that workers’ rights would be guaranteed outside the EU. She also issued tough warnings on, for example, the adaptation of a CETA-type model for the UK. However, while there is an expectation of hostility between Conservative governments and trade unions, O’Grady went on to offer the cooperation of trade unionists with the May government. ‘Where we agree with your policy, we’ll support it’, she said. This week Trade Unionists from around the country are meeting in Brighton for the annual TUC Congress. Left Foot Forward is reporting from the event. “I want to send our solidarity to workers everywhere standing up for their rights. Staff on the railways and in the Post Office – about time we had that People’s Bank; in schools and colleges; offshore workers; the junior doctors and the whole health team; Marks and Spencer and fast food workers; Ritzy cinema staff still fighting for a real Living Wage; at Uber, Amazon, Asos and Sports Direct. Let’s send a message, delegates – we stand with you. This time last year when I spoke to you, we were facing the biggest government attack on our movement for generations. They planned to slash union funding. Strip away our political voice. And threaten the democratic right to strike. We can be proud of our campaign against that nasty, vindictive law. Yes, they got their Trade Union Act. And yes, it will be bureaucratic. It’s a waste of members’ money. And a waste of everyone’s time. But in the big battles. I am grateful to those from all sides of the House, and beyond, who rallied to our aid. And I hope that the strength of our support in the country will give the Conservative Party pause for thought. Because if they seriously believed that the answer to Britain’s problems was attacking workers’ unions. Then, seriously, they were asking the wrong question. We’ve got our work cut out to win the democratic right for our members to vote online. To ward off any plans to use agency workers to break strikes. And to stop new state powers being used and abused. But what remains of this silly, spiteful law won’t stop us from defending members’ jobs. It won’t stop us speaking out. And it won’t stop us fighting for fair pay. As always, when they try to hit us, we come back stronger. Throughout our campaign, we understood that success depends on unity. We’re going to need that same unity now. Because the referendum result on Britain’s membership of the European Union heralds a whole new era of uncertainty for the working people we represent. The General Council asked me to lead a campaign that talked about what was in the best interests of working people. And about what life outside the single market could mean for jobs. For me personally, facing Boris and Andrea Leadsom in the BBC debate was quite an experience. And not one I’d be in a hurry to repeat. But, as someone told me, at least now I can say I’ve played Wembley. The campaign wasn’t clean, or even honest. Fake promises of more money for the NHS. Dog whistle appeals to anti-immigrant sentiment. And the bizarre spectacle of a self-styled anti-Establishment vanguard. Led by a serial back-stabber, a former stockbroker and a member of the Bullingdon Club. While many sat it out, we stepped up. We made sure our members knew what we thought. And, in the end, our polls showed that a majority of trade unionists voted Remain. For many it wasn’t an easy decision. And I respect those who thought differently. Especially those in our movement, who made the judgement they thought best. And those in the communities we have always championed. And are still paying the price of the crash. In this movement, we’re democrats. We accept what the British people have said. Our job now is to get the best deal possible for working people. And to build a Britain that is successful, prosperous, fair. A Britain of great jobs for everyone. We face a new government and a new prime minister too. Now, as a rule, I’m all in favour of having more women in charge. But it’s no secret that this isn’t one I would have chosen. Nevertheless, in three weeks’ time she will be stood in a hall like this one. Giving her big speech to an audience that’s…well, a little different from this one. And, woman to woman, I’m going to take the liberty of giving some advice about what she should say. After all, on the steps of Downing Street, the new Prime Minister admitted that life is much harder for working people than many in Westminster realise. She promised us social justice. She vowed to govern for the many, not the privileged few. So my advice to the new Prime Minister is this: prove it. Show us that your top priority is to make sure workers don’t pay the price of Brexit. There are five tests that must be met before you pull the trigger on Article 50. First: EU citizens living and working in the UK must be guaranteed the right to remain. They are our friends, our neighbours, our workmates. It is plain immoral and inhuman to keep them in limbo. The public agrees: guarantee their right to stay. Second: we need an all-Ireland agreement on economic and border issues. This movement worked hard for jobs, justice and peace. It would be foolish to take that for granted. Third: we keep being told that Brexit means Brexit. I’m not sure many union leaders would get away with saying a walk-out means a walk-out. A strike means a strike. At some point we’d have to spell out what we want. What we think we can get. And win a mandate from our members to negotiate. The same goes for the Prime Minister. How can her government know what to negotiate for if it doesn’t know what the country thinks? Or what the rest of the EU would accept? Now in some corners of Whitehall there is talk about Canada and the CETA model. Well, let me give the government fair warning. Britain didn’t vote for new trade agreements that: destroy jobs, set up secret courts and open the way to privatisation. If they go for the son of CETA, we will make opposition to TTIP look like a tea party. The fourth point. Negotiating our exit can’t be left to the Tories. This shouldn’t be about managing the internal politics of the Conservative Party. It’s about shaping the future of our country. We need a cross-party negotiating team, including the nations, London and the North. And it can’t be a case of cosy chats with the City and the CBI either. As the voice of working people, trade unions must be at the table too. Before we go for Article 50, we need proof that workers’ rights will be safe. We fought hard for those rights. They weren’t gifted by Brussels, but won by trade unionists. Or junk rights for temporary and agency workers. And our European neighbours won’t agree good access to the single market if Britain undercuts them as an offshore haven for cheap labour. So, Prime Minister, no ifs, no buts. Guarantee workers’ rights, now. And for the future. And tell us about your plan for the economy. Just one week after the vote, the TUC published a national action plan. To make sure ordinary working people don’t pay the price. After all, workers in the UK have already suffered the biggest fall in wages since the crash of any developed economy, except Greece. Now, you won’t catch me talking down industry. We know the importance of confidence. But, delegates, we remember the recession after the financial crash. We know, all too well, the risk of complacency too. And Union reps across the country. Convenors at our biggest workplaces. They are telling me about the worry and uncertainty their people are facing. That means government must be ready to step in. And work to keep the advantages we get from membership of the single market. For all of our industries – not just the City. That’s the key to a successful Brexit for working people. And, if Theresa May is serious about an industrial strategy, then we’ve got some ideas. About how we build an economy that works for working people. That creates wealth. And spreads it. Over the last few years, only two OECD countries had worse capital investment rates than the UK – Greece and Ireland. We need immediate investment to sustain demand. To create new, good jobs. And to show Britain is open for business. That means delivering on that long-promised home building programme. And making them affordable to working people on average wages. So let’s have more council homes too. It means a real commitment to high speed rail. HS2 is ready to go. We’ve signed a framework agreement with them. That’s great jobs, on decent wages, unions on site, right there. Let Britain’s workers build us a 21st century railway. It’s make your mind up time on Heathrow’s third runway too. A vital sign that we look outwards to the world. Last week Heathrow announced their pledges to trade unions. About pay, progression, training, safety. The best way to ensure every one of those 180,000 jobs is a great job. We need government support for a balanced energy policy – including nuclear, including Hinkley. An ultra-fast broadband across the UK. A thriving creative industry. Green tech that helps us meet our climate targets and get great new jobs too. It’s practical projects from a practical movement. Go and find those sectors where the UK is off to a great start. Where we compete on quality. Where R&D shows the way. Where we can export the products of workers’ hands and workers’ brains. Build the roads and the railways and yes, the airports that connect them to markets. That’s how you’ll create the well-paid, high skill jobs of the future. And, one last thing: You can’t build a strong economy without a strong NHS and strong public services too. The cuts have hurt so many communities, so badly. It’s time to pull an emergency brake on austerity. End the public sector pay squeeze now. And start investing to make our people fit for the challenge of a post Brexit world. So we have the best educated workforce in the world. Decently housed in neighbourhoods that thrive. And whatever else you do. Make taxpayers’ money work harder to support a British industrial strategy. You said we’re taking back control. Well, where better place to start than the jobs of steel workers? Remember, Leave campaigners blamed the EU for the dumping of Chinese steel. When it was the Conservative government blocking the tariffs Brussels wanted. So let’s have no more excuses. So, that’s what I want the Prime Minister to think about as she writes her first party conference speech. Where we agree with your policy, we’ll support it. We will roll up our sleeves and help. I hope the experience of the past year has taught the Tories a lesson. Not to underestimate the trade union movement. To remember the breadth of our support. And to give our ideas a fair hearing. I’ve spoken today about the big challenges facing our movement. And the working people we’re here to represent. Brexit – which changes the whole game. The trade union act which we still need to oppose. And that’s to win back all those people, who would once have been union members. In those towns where, when the big factories left, unions went with them. Some of them are still our members now. Some politicians like to say that globalisation has left them behind. I’d put it stronger than that. They’ve been Abandoned. Ignored. Shafted. By corporations that shipped out overseas. By governments that cut local services to the bone. And by an economic philosophy that treats people as nothing more than a commodity. The simple dignity of a fair day’s wage for a hard day’s work. Enough to raise a family on. To live in a place you can call a home. The security of a permanent contract and predictable hours. A bit over to put aside for Christmas, birthdays, a holiday, a car. Gone, for too many, in too many places. We were right to ask our members to vote Remain. But it was a hard ask in communities where there is no prosperity to be shared. Where power is in the hands of the zero hours boss. Where self-employment is a sham. Where people feel looked down on and sneered at. That doesn’t mean working class people are racist. I want to take trade unionism back into those towns. To show that we listen. That the hopes of people in towns across the UK. That we want, what they want. And win a better deal for communities where too many jobs are rubbish jobs. Who work hard and deserve better. Men and women. Brits and Poles. Black and white. And today, let’s commit to another big cause. To organise Britain’s young workers. The new blood of the British labour force. Their life at work isn’t great either. They need the benefits of being in a union. Just like every other worker. Our movement showed the spirit that inspires us in the Sports Direct campaign. Sparking public outrage about the disgraceful working practices at Shirebrook. And solidarity in action – unions using our shareholder power at the Annual General Meeting. An end to zero hours for retail staff. No more six strikes and out. And, at long last, the chance to get agency workers onto permanent contracts. A proper win for workers. And Sports Direct may be in the spotlight now. But they are not the only one. There are other big companies that bring shame on our country. So delegates, let me give fair warning. We will shine a light on you. Run a big brand with a dirty little secret? A warehouse of people paid less than the minimum wage? A fleet of couriers who are slaves to an app? Let me put you on notice. A hundred years ago, this movement campaigned to abolish piece work and day labour. We innovated, we organised, and we won. We might organise on WhatsApp or Facebook. We might use the courts. As well as recruiting workers. But there will be no hiding place. We will organise and we will win. Britain’s unions will not rest until every worker gets the fair treatment they deserve. That’s what we must do. In touch with the everyday lives of working people. Alongside them in their communities, in their workplaces, and yes, on digital too. After all, we are the original social movement. The UK’s only democratic mass movement for change. The only one that puts ordinary working people first. For great jobs, fair pay and strong rights. No matter who is in government. In or out of the EU. Our job is to win for working people. Let’s get to it, delegates.